The flagship publication of the EWF, The Reader combines program highlights with new work and how-to advice. It’s an opportunity for emerging writers to pitch work for publication through an open callout. We’re looking for writing about writing, works by and for emerging writers, works that engage with the craft, the philosophy and the politics of being a writer. Pitches can be for critical or creative works, and are due Monday June 28. Click here for the shorter version of the information. And here for complete submission info. * I haven’t seen this ad anywhere else except on the EMF website, but please excuse cross-posting. Fiona Trembath will be appearing at 7pm this evening (Wednesday 26th May) at the Emerging Writers’ Festival for her ’15 Minutes of Fame’. The venue is the Wheeler Centre, 176 Little Lonsdale Street Melbourne. I asked Fiona what she’s planning to do for her talk. I’ll probably burst a few bubbles when I talk about the 10 year journey it’s taken for my 22,000 word junior fiction novel to be published… But I also want to talk about the up-side, and the sense of achievement and fulfillment I’ve received at the end – and a lot of the time during – the past ten years. All Phoebe wants is a normal family. But with a dad who keeps running away to the circus, an annoying younger brother who thinks he’s a vampire, and a crackpot mum who reckons she’s a comedian, ‘normal’ is a long way off. Fiona’s book is published by Avant Press. Click here to find out more at Fiona’s website. Today I’m speaking to Lucienne Noontil. Lucienne is one of the writers to be featured this evening (Monday 24th of May) in the ’15 minutes of fame’ section of the Emerging Writers’ Festival in Melbourne. Lucienne will appear at 7pm at the Wheeler Centre, 176 Little Lonsdale Street. Lucienne, how did you first come to be published? I don’t think it was because I was a standout writer, but more the fact that I could follow instructions. I was in a Writing for Children class and my teacher, who was also a small publisher, asked me to source a true story of a boy’s bravery and then write it to their format. I had very little control. Possum Tale was a different scenario. I had been rejected numerous times and still felt the story was worthy and in 2008 I won an award which would assist me to publish the manuscript. I had control. Yippee. Tell me about the process of completing Possum Tale. Being a picture book, I did long stints painting possums, weighing up the best options for the visual spreads to compliment the words. I toyed with the wording as it is imperative to be precise when children are formulating their language. I had a great team of ‘experts’ guiding me including a project advisor, cover designer, children’s librarian … and of course my own young kids! My focus was to produce the best product I could so I had to keep an open mind and firm in my resolve. What are you planning to do for your ’15 minutes of fame’ at the Emerging Writers’ Festival? I will be using the platform as a way to build confidence in myself as an author. If you think you have a worthwhile project, do your best to get it ‘out there’. I wasn’t sure if I could paint possums, but on having a go and practicing, I found it wasn’t beyond my capabilities at all. Don’t hang off that one manuscript. Whatever the result, just keep on writing. Click here to visit Lucienne’s website. In part 2 of my interview with author Chrissie Michaels, Chrissie explains how she does historical research and how she plans to promote In Lonnie’s Shadow to schools. Do you ever encounter obstacles when writing for publication? How do you tackle historical research? I really enjoy the thrill of discovery in historical research. In Lonnie’s Shadow is the second of my published historical novels, although it is my first novel for young adults pitched at the more mature reader. The other novel is On Board the Boussole, the diary of Julienne Fulbert, written for the 12+ age group and based on the French explorer, Lapérouse’s tragic voyage in the 18th century. This is part of the Australian, My Story series by Scholastic Australia. Melbourne’s State Library has been an invaluable resource for both novels. The Argus newspaper was an important reference for me when researching Lonnie. I trawled the microfiche at the Library, referred to academic papers about the archaeological digs, checked out the ephemera section. I also visited Museum Victoria and studied their exhibition on Melbourne. Many artefacts from the digs are part of this display. In fact this was the source of my inspiration for Lonnie. While writing Boussole, the rare books section of the library was invaluable for research on Lapérouse. I corresponded closely with Reece Discombe, who rediscovered the site of the shipwrecks near Vanikoro in the 1960s. Reece gave me some of his photographs, sent me photocopied material and gifts, such as a book signed by the French admiral who oversaw the French navy’s dives to the wrecks (which I now treasure). Pierre at Albi sent me a wonderful limited edition print of the Boussole (ship) commissioned by the French government, as well as one for the National Maritime Museum in Sydney which I sent on to them. Jean from the Association Salomon sent me copies of his own novels on the subject. I also visited the Lapérouse Museum in La Perouse, NSW. Do you do book proposals for your work? I always try to follow the submission guidelines that a publisher has. If this calls for a book proposal then I will do it. I try to present manuscripts as professionally as I can and always include a return envelope with the required postage, unless stated otherwise. Why do you write under a pen name? Really just because I can… it fits into where I am at this point in my life. If you do write under a pen name you should inform Public Lending Rights; Educational Lending Rights and Copyright Agency Limited. Also I always put my ‘real’ name along with my other details on a manuscript’s cover page. Because we do still have a range of markets here in Australia I have been happy to do it alone. However, I’ve just sent some material to a US agent. I saw an advertisement in one of my network newsletters. But this is the first time I’ve done so. Paul Collins my publisher at Ford Street is supersonic. He has sent off stickers, bookmarks, set up interviews and provided contact points. He provided the opportunity for my involvement in the cultural exchange of Australian books to the Shanghai and Nanjing Libraries. The exhibition is called ‘Finding Gold’ and is associated with the current Shanghai World Expo. I am very excited to be one of the featured writers. I am one of 16 writers selected to launch their book during the Emerging Writers Festival in Melbourne. My timeslot is Thursday 27 May, 7–8pm. Estelle Tang is hosting these ‘15 Minutes of Fame’. There will be book sales and a book signing at the end. More details are available on the EWF website. Please come along if you can. A launch is a real celebration, like a birthday because our characters are like our own children (almost). What do you plan to talk about to school groups? I am happy to speak to school groups. Lonnie is for the more mature adolescent reader as it has some gritty and violent moments. Some of the characters are hard done by but they are resilient and determined and don’t give up. I have a Lonnie collection of my own to act as writing inspiration. My favourite is the phrenological head (chapter: ‘Skull’ from In Lonnie’s Shadow) which I picked up at a market over one summer holiday. I also have an old brown bottle with ‘not to be taken’ on it (‘Bottle for medicine or poison’). I’ve got some great old coins (‘Three coins and a token’). I have some great photos of the area around Little Lon as well. There are also stories to tell. Just yesterday I had a phone call from a lady whose mother spent her early childhood in Cumberland Place (part of the setting in Lonnie). She told me how her mother wandered down to the nearby theatre and watched Pavlovna dance. I was so thrilled to hear from her and even more that she was really excited by my book. She is going to keep in contact by email and tell me some more stories. I can’t wait. Tomorrow, Chrissie explains more about how she plans to promote In Lonnie’s Shadow. In the meantime, take a look at the trailer for the book, along with Chrissie’s article about using book trailers in the classroom. 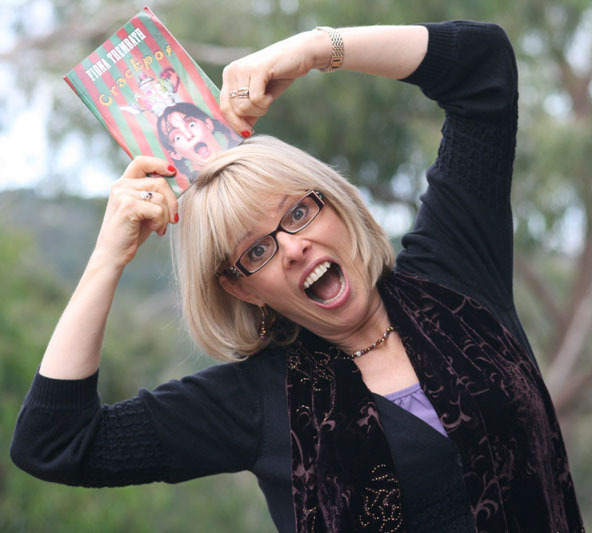 This is part 2 of an interview with Australian children’s author, Fiona Trembath. See my previous post for part 1. Fiona, how did you manage to get media coverage for your book? Yes. I employed a publicist (Alan Davidson), and he was able to get me a lot of media coverage. I’ve been on ABC Radio National, ABC Launceston, Hobart, WA, Newcastle, and Melbourne (Richard Stubbs’ program), plus a few local and community radio stations. I also appeared on Kerri-Anne Kennerley’s show and had a feature article about me in the Herald-Sun newspaper. And yes, it’s been very worthwhile having a publicist – I can’t sing Alan’s praises highly enough. I’m now a regular guest on ABC Radio’s ‘Overnights’ program, thanks to him. Did you do anything to build your profile as a writer prior to getting published? Will you sell or promote your book through any non-mainstream outlets? Do you or publisher have any plans to sell your books overseas. If so, how? Not yet. However, I did have some representation at the Bologna Book Fair recently. I live in hope. Good question. I wanted the website to be a reflection of both me and may book, so it took quite a few drafts from the designer before I felt they nailed it. Then I started writing. I also had some one-on-one lessons with the designers so I could upload and manage my own content. With the website, I wanted to appeal to both young readers and the buyers of my book, which is kind of a ‘ nine-to-ninety’ demographic. Apart from your website, do you have a strategy for promoting the book online? Will you do a blog specifically for the book? Yes, I have a few other blogs, but nothing specifically to do with children’s writing. I’m so strapped for time in writing adjunct material for my book to go into primary schools, as well as the day-to-day chaos of my life, that I barely have time to eat, let alone construct another blog and add to it religiously. I think I’m a bit of an Annie Proulx – she didn’t start ‘seriously writing’ until her kids left home. My youngest three children are 15, so I’ve got a few years left before I reach and maintain my maximum writerly output! How do you promote yourself to schools? What do you offer? This year’s plan is to visit to schools in rural Victoria. I’m hoping to offer something different to primary schools in two ways: 1) exploring ‘positive’ character traits in Crackpot, and teaching teachers and students how to identify and expand their own strengths, and 2) as a past children’s performer, I’ll then get the children working on their own performance … And I’m going to do this the old fashioned way: snail mail! Did you write the teachers’ guide for your book? I wrote it, but also had a student teacher, Nevenka Elvin, study my book and write a research assignment on it, which gave me some great ideas. I also enlisted a colleague and Primary School teacher, Carole Poustie, for tips and guidance. You are appearing at the Emerging Writers’ Festival in Melbourne. What are you planning to do for your ‘15 minutes of fame’? We can’t but help put a little bit (or a lot, in some cases) of who we are into what we write. My background is comedy coupled with chaos: nine children (six of them stepchildren), two businesses, a large house on five acres… I’ve had some pretty tough times in my life, as well as some pretty damn fine ones as well; there are many times I laughed when I should have cried, and vice versa. I suppose this makes ‘Crackpot’ a fitting title for my book! I also have very vivid memories of my time as a young child in Central Victoria, in a place called Dingee, and given Crackpot is set in a fictitious rural town, that part of my background, you could say, has also greatly informed my writing. You were a teacher at Box Hill TAFE. Did this influence you as a writer? 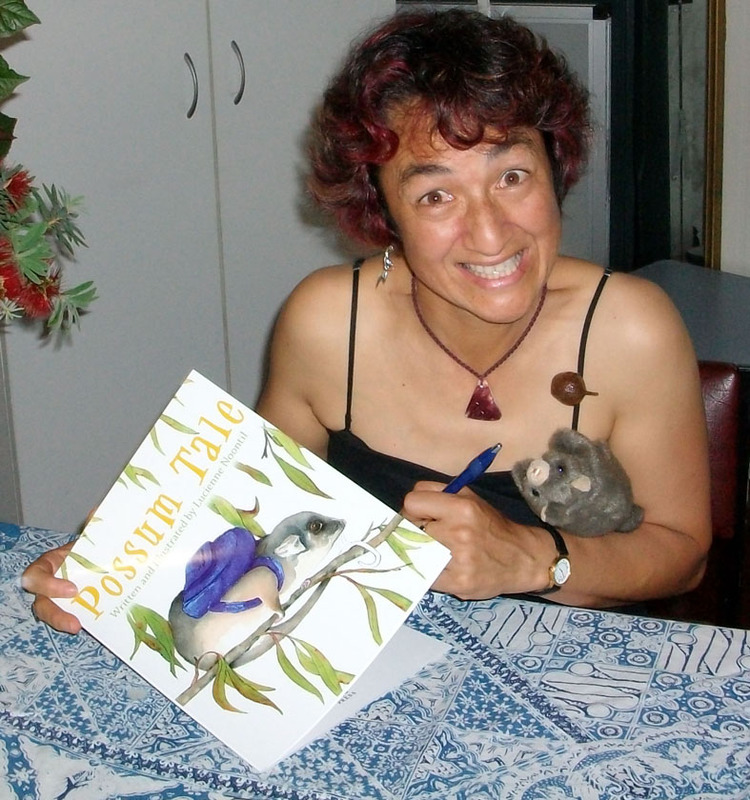 I was a teacher for ten years at Box Hill TAFE – teaching Editing and Writing for Children – up until 2009, when I decided to pull back and devote more time to my own writing. So I’m now unofficially ‘retired’ from teaching. However, I absolutely loved teaching with a passion. My students over the years taught me a lot; I loved their enthusiasm, their envelope-pushing, their passion for writing and reading, as well as their openness and vulnerability. I think teaching influenced me as a story-teller: a good teacher needs to hold the attention of their audience (students), no matter what the subject matter. Humour helps, too, as does compassion. These two qualities – I just realised! 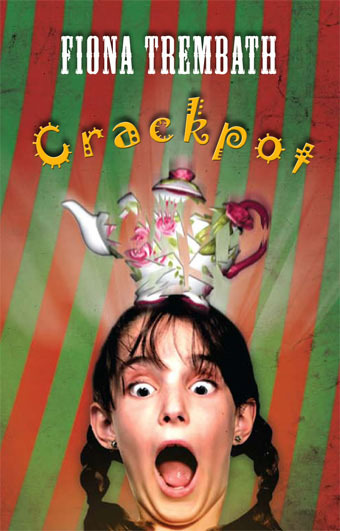 – are the two of the main themes within Crackpot. I have absolutely no idea! I do know I absolutely love being up front, entertaining audiences (especially children) and talking about my passions (positive education and parenting). I also love to have a good laugh. I’m not sure if that differentiates me from other authors or not. Judith Rodriguez was right: ‘It ain’t over till the fat lady sings, Fiona.’ In other words, don’t celebrate until it’s signed, sealed and delivered. No no no! Thank YOU! Fiona’s novel Crackpot is the first of three books. She is currently working on the second and third books in the series: Dingbat and Nutcase. She is also writing a memoir, which she started in 1994. You can hear Fiona speak at the Emerging Writers Festival in Melbourne on the 26th of May at 6.45pm. Click here to visit Fiona’s website. For tomorrow, I’ve got a special mystery guest blogger. She’s a well-known Australian author, and has generously agreed to share her hints for promoting yourself as an emerging writer.